The Note 8 is Samsung’s big phone comeback story, making up for the Note 7 recall. It has an expansive 6.3-inch ‘Infinity Display,’ faster 6GB of RAM performance and two best-in-class rear cameras, which add up to one of the most expensive phones ever. Just don’t expect record-breaking battery life from its predictably average-sized battery that plays it safe. It’s the best big phone you can buy, if you can handle the enormous size and price. The Galaxy Note 8 is the biggest reimagining of Samsung’s best smartphones for productivity, and more than enough to right the major wrongs of the recalled Note 7. This is a mega-sized mea culpa. Two weeks of testing has us convinced: this is a true redesign of your average smartphone from top-to-bottom, edge-to-edge, and rear camera to, well, rear camera. There are now two cameras on the back, a first for a Samsung flagship smartphone. It takes brilliant portrait photos, and you can even edit them post-capture to adjust the depth of field. Why buy this instead of the 6.2-inch Galaxy S8 Plus? The extra tenth of an inch doesn’t really matter, but loyal Note fans adore the S Pen functionality, power users are going to benefit from the 6GB of RAM, and we loved the superior dual-lens camera in our tests – you will too. This is the most powerful Samsung phone yet. It does, however, cost you in three ways. It’s too big for some – it’s technically Samsung’s best, but not the best for everyone. You’re going to need a Note 8 case to confidently hold this unwieldy glass beast, and two hands to operate it. The big screen also comes at the cost of the Note’s usual oval-shaped fingerprint sensor home button. It’s gone. The on-screen button that replaces it works fine, but the fingerprint sensor is located on the back of the device and off-center – it’s a textbook flawed design, and the alternative iris scanner doesn’t always work when you want to unlock the phone. Then there’s the Note 8 price. If you want top-of-the-line specs, the most advanced camera, a stunning display, and streamlined multitasking on a phone, you’re really going to pay for them. The Note 8 costs more than the S8 Plus, although if you’re going to sink a lot of money into a device that you use everyday, you may as well go all the way. Can your wallet, and the extent of your grip, handle the Note 8? That’s pretty much all that you – if you have faith in Samsung again – need to ask yourself before buying this phone. The Samsung Galaxy Note 8’s biggest test could be just around the corner, with rumors of an all-new iPhone X with borderless display, facial recognition and an equally sizable prize tag launching on September 12. For now though, the Note 8 rules supreme in the big-screen, big-power, big-price arena. 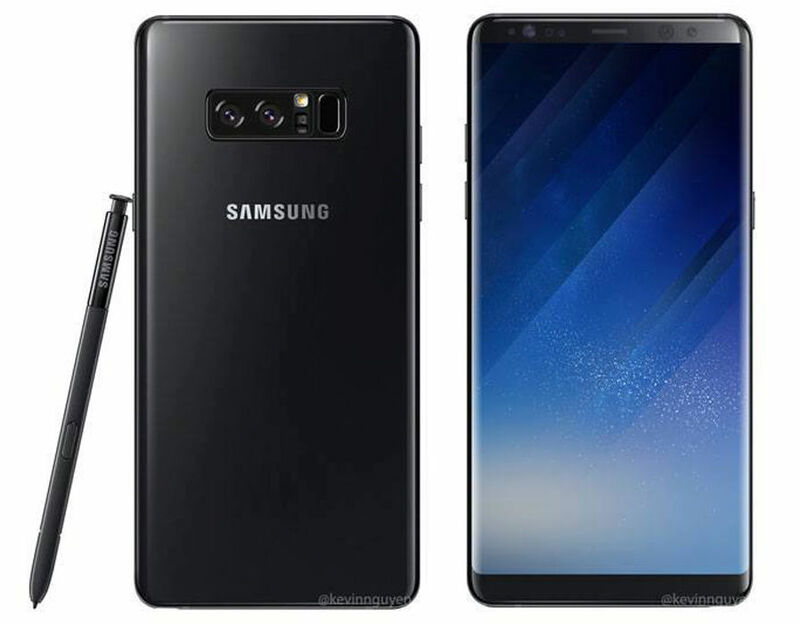 The Galaxy Note 8 release date is Friday, September 15 in the US and UK, while Australia will get the new phone on September 22. Pre-orders are open now, and some users are getting the phone early – as soon as this week. The Note 8 price is $929 (£869, AU$1,499), and US carriers have it for as much as $40 a month for 24 months, though we’d suggest getting the unlocked carrier-agnostic version. Either way, it’s going to be the most expensive smartphone you’ve ever bought. The Galaxy S8 Plus, for comparison, cost $829 (£779, AU$1,349) at launch, but you can now get Plus for around $750 in the US, while Galaxy S8 deals make the smaller version almost half the price of the Note 8. Good news, though: you can already find Galaxy Note 8 deals in the US and also in the UK. In the US it comes with either a free Gear 360 camera or a 128GB memory card and fast wireless charger. In the UK the freebie is a DeX docking station, and there’s a dual-SIM version available. Best Buy is also offering $150 off the phone, and T-Mobile has a Buy One Get One Free Note 8 offer. Stretching your fingers is well worth if you can physically manage it. Its expansive 6.3-inch display – now without a physical home button – has an unheard-of 83% screen-to-body ratio. The iPhones have a 67% screen-to-body ratio for comparison. That’s a lot less screen for such big phones, at least until iPhone 8 arrives to change everything. Samsung keeps topping itself, launching phones with the world’s best display every six months. Its maximum brightness, 3K resolution with Mobile HDR Premium, and wider color gamut are hard for anyone else to compete with. It’s Always-On Display continues to be an appealing feature in a smartphone. Lit up, the all-screen Note 8 feels like we’re carrying around a piece of light when we’re out and about. The entire front glows with unimpeded information – as long as you don’t drop and crack it, and you’ll need to be extra careful as the entire phone is enveloped in glass wrapped around an aluminum frame. Combined with its size, this makes for one slippery smartphone. While we spent most of the time using this phone naked (that’s without a case), we did test several Note 8 cases and instantly felt more confident carrying it around. Why? The added grip (and peace of mind) let us operate it with one hand, whereas we struggled with the pure glass body at such tall and wide dimensions. Sorry – you’re going to need a case with this phone. There are very few Note 8 colors. It comes in muted tones of Midnight Black and Orchid Gray, while the Maple Gold and Deep Sea Blue colors will launch in other regions, which will likely come out later this year or early next year if you don’t see them yet; Samsung, annoyingly, refreshes its phones with new colors after a few months, much to the chagrin of loyal early adopters. You also won’t get the best sound from the Note 8. It’s a multimedia powerhouse visually, but its bottom-firing speaker still had us cupping the bottom of the phone to get better audio. Samsung has yet to deliver dual front-facing speakers like the Sony Xperia XZ Premium, or customizable Hi-Fi audio like the LG V30. Maybe next year. The Note 8 is IP68 water-resistant, so it can survive up to 1.5m (5ft) underwater for 30 minutes, and it uses the reversible USB-C standard. Both are new perks for most Note fans. There’s also no camera bump, and that gaudy Samsung logo has been moved to the rear, no longer staring you in the face. Unfortunately, the fingerprint sensor has moved there, too. We hate the fingerprint sensor on the Galaxy Note 8, just as we did on the S8 and S8 Plus. Maybe a tiny bit less, but we still don’t like its off-center rear location for the same reason: we keep blindly smudging the far-too-close dual-lens camera. It’s really difficult to unlock the phone. What’s improved – slightly? The offset fingerprint sensor and center-aligned camera are a few milimeters further away from each other. Samsung wisely moved the flash and heart rate monitor in between the sensor (which requires your fingerprints) and the camera (which always gets fingerprint smudges all over it). That built-in heart rate monitor you forget still existed on Samsung phones now serves a purpose again. Samsung’s unlocking alternatives don’t work as advertised. Face unlock has proven to be less secure, so much so that we don’t even suggest using it. And while you won’t fool the iris scanner, it won’t recognize you wearing sunglasses, or walking and holding the phone at the improper distance. It’s ironic that we have a phone that looks like it comes from the future, yet it’s been designed with a fingerprint sensor that’s become a textbook design misfire on smartphones. Samsung could fix this issue with an in-glass front fingerprint sensor, but the technology isn’t ready yet. Expect this to be a grand announcement for the Galaxy S9 or Note 9 – please act surprised. There are two types of people in the world – those who will use the Note 8’s S Pen, and those who think they’re going to use it, but will stop taking it out of its holster after about a week. It’s like everyone’s desire to own a Fitbit – you had good intentions when you set out to buy it. Anyone who sticks with the S Pen, however, will get their money’s worth from the Note 8. We signed a PDF contract last week without having to print or scan it – in fact, we didn’t even have to leave the email app. We also jotted down handwritten notes and took screenshots that we were instantly able to mark up. Plus the S Pen is also great for sketching with over 4,096 levels of pressure sensitivity. These features – usually reserved for pro-level tablets or 2-in-1 computers – are even handier on a phone. After all, the best note-taking device is the one you have with you all the time. Frequent note-takers will love the off-screen memo feature, which lets you jot down white-ink notes on the turned-off black screen as soon as you eject the S Pen. Off-screen memos, introduced with the doomed Note 7, enable you to capture your thoughts without having to unlock the phone first. The Note 7 also debuted S Pen features like GIF Capture and Translate, but these will be new to most Note 8 users. And new to the Note 8 is the ability to write out ‘Live Messages’, creating sparkly animations that you can send to anyone in GIF form. If the S Pen lets you skip a few archaic steps – like printing, finding a working pen, and scanning a document – the Note 8 may be worth the extra $105 over the similarly sized S8 Plus.